Ireland, AD 671. King Colgú of Cashel is shocked to learn that his loyal Chief Bishop and advisor has been murdered in the old enemy fortress of the Uí Fidgente. When word reaches Cashel that the culprit will be executed under new law, a larger conflict looms. Dispatched to investigate, Fidelma and her companion Eadulf discover that the man facing punishment is Gormán—commander of the King’s bodyguard. But Fidelma cannot believe Gormán would carry out such an act—and yet he was found locked in a chamber with the body, weapon in hand. The evidence is stacked against him. 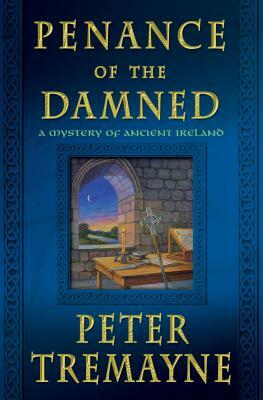 PETER TREMAYNE is a pseudonym of Peter Berresford Ellis, a renowned scholar who has written extensively on the ancient Celts and the Irish. As Tremayne, he is best known for his stories and novels featuring Fidelma of Cashel, beginning with Absolution by Murder. He lives in London.